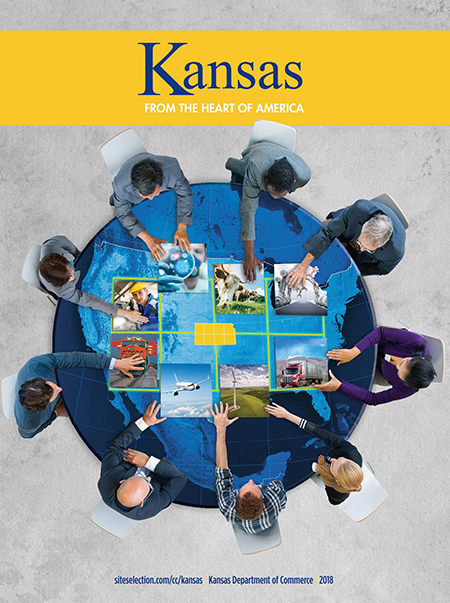 The success of Kansas companies usually boils down to this: the success of Kansas itself. While the Sunflower State is widely thought of as an agricultural state that is as American as Superman himself, people who are not from Kansas tend to underappreciate the state's vibrant business climate. Success doesn't happen by accident in Kansas, or as a byproduct of the state's American Heartland motif. It happens because the state continually invests into its core infrastructure: its people, its transportation byways, and its educational systems. Did you know, for example, that Kansas has the eighth-highest two-year college graduation rate in America, or that the state ranks 15th for most bachelor degrees or 19th overall in higher-education attainment? Did you know that Kansas ranks 21st in economic opportunity, seventh in overall affordability, and eighth in ultra-fast Internet access? Or did you know that Kansas ranks No. 8 in community engagement, sixth in urban air quality, and No. 12 in the overall quality of its transportation systems? Companies that invest into business operations in Kansas know these things. They also know that an investment in Kansas pays great dividends. In 2017, the Kansas Department of Commerce worked with 118 different companies that chose to invest into capital facility projects in Kansas. Their combined investment of $2.275 billion will result in an annual payroll of $1.13 billion and 10,106 new jobs. These investors include household names like Kiewit Corp., which is investing $130 million to retain 1,300 jobs and create 268 new jobs in Lenexa and Overland Park; Mars Chocolate North America, which is spending $50.5 million to create 85 new jobs in Topeka; and Spirit AeroSystems, which is committing over a billion dollars to create 1,000 new aerospace assembly jobs in Wichita. Smaller employers are getting in on the act too, as companies like WindRiver Grain, WestPro Construction Solutions and Actavi Engineering Services commit to build new plants or expand existing facilities in the state. Whether large or small, these firms choose a Kansas location because they know they will generate a solid return on their investment due to the people, infrastructure and value they find in Kansas. The bottom line is that the dollar stretches a lot farther in Kansas. With a cost of living index of just 86 (100 equals the U.S. average), companies extract great value by hiring Kansas workers. For example, the average management professional in the U.S. makes $65,643 a year. In Kansas, the average annual wage for this worker is $57,502. Likewise, the average annual wage for a healthcare practitioner in Kansas is $54,797, compared to the U.S. average of $64,417. And if you want to buy a house, guess what — that's a lot cheaper in Kansas too: just $124,000 for the average home, compared to the U.S. average of $185,800. Other factors contribute to the success of companies in Kansas, for sure, but one thing keeps employers coming back for more: the people of Kansas. They are honest, hard-working, loyal, and committed to family and community. In Kansas, employers call that a recipe for sustained success.